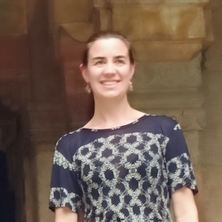 Sonia Roitman joined the University of Queensland in 2013 following previous academic, research and professional appointments at University College London (UK), School of African and Oriental Studies (SOAS, UK), Free University Berlin (Germany), Universidad Nacional de Cuyo (Argentina), Consejo Nacional de Ciencia y Técnica (CONICET-Argentina) and Secretaría de Ambiente y Desarrollo Sustentable, Gobierno de Mendoza (Argentina). Before moving to Australia, Sonia lived and worked in Argentina, United Kingdom, Germany, Mexico and Uganda. Her contributions to the field of development planning and urban sociology include influential research on urban inequalities and how they manifest in cities. Her research interests include housing and poverty alleviation policies; the role of grassroots in the production of space; and, gated communities, segregation and planning instruments in global South cities. Her current research locations are Indonesia and Uganda. She serves in the Board of the RC21 Committee (Research Committee of the Sociology of Urban and Regional Development, International Sociological Association) since 2014 and is a joint-coordinator of the RC21 Summer School. I lead the 'Urban Inequalities Research Group'. We are a group of researchers working on understanding how urban inequalities are manifested and reproduced in cities. The topics we examine include: land tenure and collective action in Cambodia; informal livelihoods and the use of public space in the Philippines and Bangladesh; housing policies in Indonesia; land acquision processes in Indonesia; displacement and livelihoods in Myanmar; social justice, planning and sanitation infrastructure provision in Indonesia; the impacts of gated communities; the implementation of the Sustainable Development Goals (SDGs) in Uganda; informal settlements and land tenure in Indonesia; social housing and segregation in Brazil; inclusionary planning instruments in Indonesia; and women empowerment and governance. Roitman, Sonia (2019). Slum dwellers strategies and tactics in Yogyakarta, Indonesia. In Roberto Rocco and Jan van Ballegooijen (Ed. ), The Routledge handbook on informal urbanization (pp. 281-292) Abingdon, United Kingdom: Routledge. Iswanto, Rahmani, Sita and Roitman, Sonia (2019). Sukunan village, Yogyakarta, Indonesia. Environmental sustainability through community-based waste management and eco-tourism. In Sébastien Darchen and Glen Searle (Ed. ), Global Planning Innovations for Urban Sustainability (pp. 90-105) Abingdon, Oxon United Kingdom: Routledge. I am interested in how social inequalities are manifested in cities. This includes analysing how planning can contribute to tackle inequalities and create more just cities. You can read more on this in my article in The Conversation https://theconversation.com/how-to-use-the-power-of-urban-planning-to-tackle-inequality-91010 This also includes the analysis of the impacts of gated communities to the outside areas, including positive and negative impacts. Please note that currently there are no funding opportunities for this project. I am currently analysing how SDG11 is being implemented in several cities around the world and in particularly in the Global South. I examine the potential changes in governance structure and dynamics that result as a consequence of the New Urban Agenda and the implementation of SDG11. Roitman, Sonia Descubriendo Uganda. Relatos desde una mirada muzungu. Lomas de Zamora, Argentina: Editorial Mundos, 2013. Roitman, Sonia (2017). Teresa Caldeira. In Regan Koch and Alan Latham (Ed. ), Key Thinkers on Cities (pp. 57-62) London, United Kingdom: Sage Publications. Roitman, Sonia, Webster, Chris and Landman, Karina (2013). Methodological frameworks and interdisciplinary research on gated communities. In Michael Hibbard, Robert Freestone and Tore Sager (Ed. ), Dialogues in Urban and Regional Planning 5 (pp. 17-42) Abingdon Oxon, U.K.: Routledge (Taylor & Francis Group). Roitman, Sonia and Giglio, Mónica Adriana (2010). Latin American gated communities: the latest symbol of historic social segregation. In Samer Bagaeen and Ola Uduku (Ed. ), Gated communities: Social sustainability in contemporary and historical gated developments (pp. 63-79) London, United Kingdom: Earthscan. Roitman, Sonia (2017) Splintering (sub) urbanism and social differences: gated communities as the driver for suburban change in Chacras de Coria (Mendoza, Argentina). Revista INVI, 32 90: 159-182. Roitman, Sonia (2016) Urbanizaciones cerradas a escala planetaria. Prospectiva: Revista de Trabajo Social e Intervención Social, 21: 13-22. Roitman, Sonia (2004) Urbanizaciones cerradas: estado de la cuestion hoy y propuesta teorica. Revista de Geografía Norte Grande, 1 32: 5-19. Roitman, Sonia (2003) Resenas "Urban Sociology, Capitalism and Modernity" de Mike Savage, Alan Warde y Kevin Ward (2003). Eure: Revista Latinoamericana De Estudios Urbano Regionales, 29 88: 178-180. Recio, Redento B., Roitman, Sonia and Mateo-Babiano, Iderlina (2017). Economic Spaces and Mobility Nodes: Exploring the Relationship of Urban Informal Trading to Transport and Land Use. In: World Symposium on Transport and Land Use Research 2017, Brisbane, Australia, (). 3-6 July 2017. Roitman, Sonia (2014). Housing policies and governance in Indonesia: top down or bottom up? The case of PNPM in Yogyakarta. In: 6th International Conference Towards a Regional Agenda for Habitat III: Responsive Urbanism in Informal Areas. Working paper series. ARCHCAIRO 2014: 6th International Conference. Responsive Urbanism in Informal Areas: Towards a Regional Agenda for HABITAT III, Cairo, Egypt, (463-478). 25-27 November, 2014. Phelps, Nicholas A., Tarazona, Amparo and Roitman, Sonia (2014). The suburban question: grassroots politics and place making in Spanish suburbs. In: Conflicts in the city congress: reflections on urban unrest (SiCC), University of Valencia, Spain, (). 2 - 4 April 2014. Johnson, Laurel and Roitman, Sonia (2014). The use of public space as an instrument for social inclusion: the case of Aboriginal and asylum seeker residents in Brisbane, Australia. In: World Town Planning Day: Equality in the City: Making Cities Socially Cohesive, On line conference, (). 5-7 November 2014. Roitman, Sonia (2013). Rebirth from the ashes: crisis and the emergence of social movements in Argentina over the last two decades. The case of Tupac Amaru in Mendoza. In: Resourceful cities: RC 21 Conference 2013. RC21 Conference 2013: Resourceful cities, Berlin, Germany, (1-2). 29-31 August, 2013. Roitman, Sonia (2008). Planificación urbana y actores sociales intervinientes: el desarrollo de urbanizaciones cerradas. In: Mercedes Arroyo and Miriam Hermi Zaar, Número extraordinario dedicado al X Coloquio Internacional de Geocritica. X Coloquio Internacional de Geocritica, Barcelona, Spain, (1-16). 26-30 May, 2008. Muriuki, Grace, Schubert, Lisa, Hussey, Karen and Roitman, Sonia (2017). Urban food systems - a renewed role for local governments in Australia. , Global Change Institute, The University of Queensland.